CREATE A SHIFT LIKE AN ASPIRIN DOES FOR A HEADACHE. 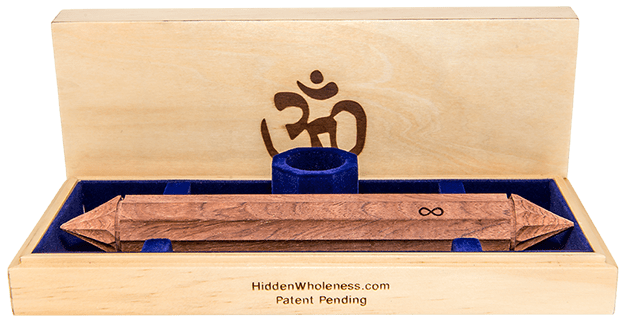 However, you can use the wand daily to see where your body systems are and keep unwanted frequencies from effecting you at a faster rate, by completing the 9 sec om. The process of releasing daily will be to do the om for 9 sec and the sound should have a low to high smooth pitch. If the sound you make, cracks or wavers, do the 9 sec 2 more times and on the 3rd time the sound should level out. This will bring back into immediate balance the body system that may have been effected by outside frequencies. The adjuster will do this naturally, however if you do this yourself regularly it will only increase the rate and have you feel amazing all the time. Think of the adjuster as your tool for perfect frequency health. chakra system and your connection to GOD and the Earth…WITHOUT AN EGO!! to you, is it is quite literally, “CLEANING” your energy body of all past debris, so to speak. don’t, that may have caused you or are still causing you any kind of fear or distress. you have an invisible field that is around you, where all these “frequencies” are stored. to you!!! I think you can begin to see my point! and even lay on it, and practice the 9sec om daily, it can moves these frequencies at an exponential rate. those frequencies from collecting EVER again.